I may receive commissions from purchases made through links in this article. More information here. Eureka! I have found a dinner my whole family loves that includes all of the wonderful real foodie foods I want us to be eating! The dinner is so simple to pull together because most of it can be made ahead of time. This meal is as nutrient dense as you can get because it has so many components including healthy fats and fermented condiments. The point is to get creative and use what you love. Everyone can add whatever fixings they choose! For those who are completely grain free or paleo just skip the corn tortilla, rice and beans and eat this as a salad with some leafy greens. Basic Rice cooked in bone broth and coconut milk or even Cauliflower rice! Corn tortillas or Sprouted Flour Tortillas (omit if you don’t eat corn or wheat) – I heat up the corn tortillas using a method I learned from my parents…I heat them up directly on my gas stove, turning often and careful not to burn them. Then I put in a warm oven between two plates. You can keep the tortillas warm this way even at the table! Guacamole – For my guacamole I keep it very simple. I mix together avocados with my fermented salsa and a little lime juice. First I prepare my taco meat using ground beef or veal or you could even use chicken. I use a homemade taco seasoning that I make in bulk in advance. Mix all ingredients together and store in an air tight container or glass jar. Use 2 Tbsp of this seasoning mix per 1 pound of ground meat. Heat a pan to medium high heat. Add the fat and then the onion and spices. Saute the onion with the spices for a few minutes. Add the meat and the carrots and saute another few minutes. Add the ketchup and stir to combine. Lower the heat to medium low and cook for another 5-10 minutes until the meat is dry and crumbly. While the taco meat is cooking, I heat up the rice and beans in a pot on the stove and make the guacamole. Then I assemble all of the fixings onto a serving platter. I serve the tacos up family style and everyone can assemble their own. Real Food Survival Guide e-Book - Get Instant Access! 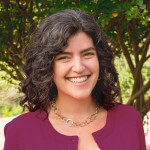 Subscribe for instant access to my free ebook, Real Food Survival Guide for Busy Moms. I'll also send you real food recipes, wellness tips, exclusive discounts and coupons. 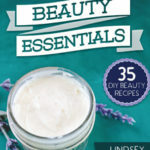 Filled with 35 DIY, Toxic Free Beauty Recipes That You Can Use Everyday. 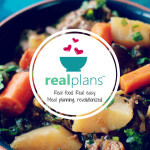 Meal planning has never been customizable...until now! It couldn't get any easier. And all real food approved by Homemade Mommy! 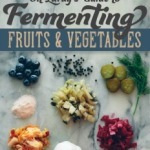 Fermenting fruits and vegetables made easy! I buy organic, from family farms, local and grass-fed. I am passionate about achieving vibrant health and am happy to share tips, techniques and recipes in my eBook, The Real Food Survival Guide for Busy Moms. can I help you find something special?